Are you ready to get certified in anger management, and offer a program to the community? You’ve reached the right place. Most people don’t know what is entailed in becoming certified in anger management since there is no legislation and no governing body overseeing our field. 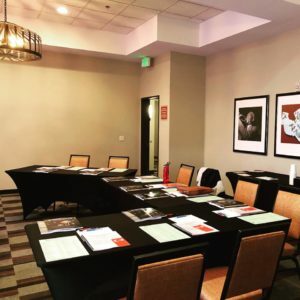 In 2012, several of us got together to co-find the California Association of Anger Management Providers (CAAMP) in order to collaborate with one another, and to help standardize the practices of anger management. In 2014, CAAMP became the California Chapter of the National Anger Management Association (NAMA), and continued to grow in membership. Having served on the CAAMP Board as President, Program’s Chair, and Treasurer, I have seen the value this Association brings forth to the community. CAAMP compiles names of qualified anger management providers to offer to the courts to distribute as a referral for court-ordered clients, and to Probation to distribute for their clients. Currently, the certification process is to attend a 2-3 day training, and incur 4 sessions of supervision required by NAMA to become a Certified Anger Management Specialist I or II. My training incorporates the 4 sessions of supervision required by NAMA so that your supervision hours are met. You will also have 4 opportunities to practice facilitating anger management (several private and several group facilitation), and will receive feedback about your skills. I believe this helps not only with improving facilitation skills, but by learning from other’s creative facilitation styles. In addition, by repeating a lesson plan you just learned, you will remember it even more after reviewing and facilitating it. 5- Join our Alumni Facebook group for additional ideas, resources, video clips, and activities you could implement in your groups. I do offer semi-private and private anger management training to agencies and schools, and will travel to you. 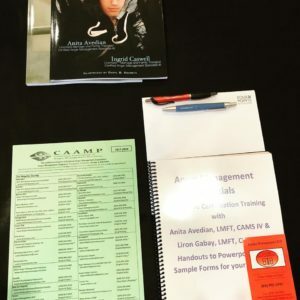 Such options are included on the following page: https://www.angermanagementessentials.com/anger-management-private-training.html Otherwise, I hold a monthly training throughout California and Nevada.